﻿ Culling, Finning, Illegal Fishing...and Beaching!? 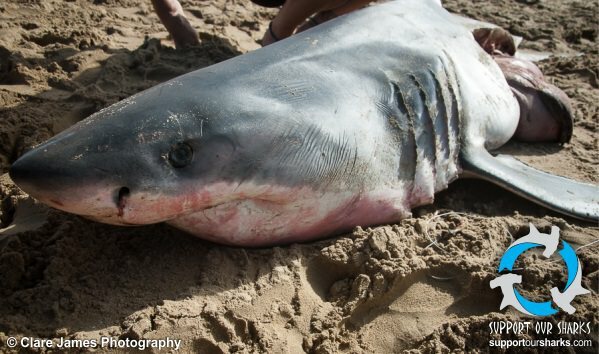 Is There Any Hope for the Great White Shark? 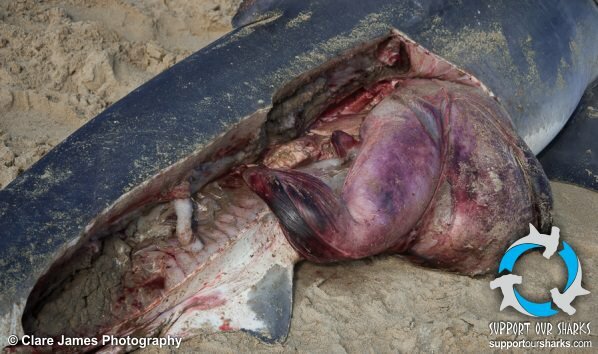 Culling, Finning, Illegal Fishing...and Beaching!? In recent years, the plight of Great White Sharks has hit the headlines around the world. 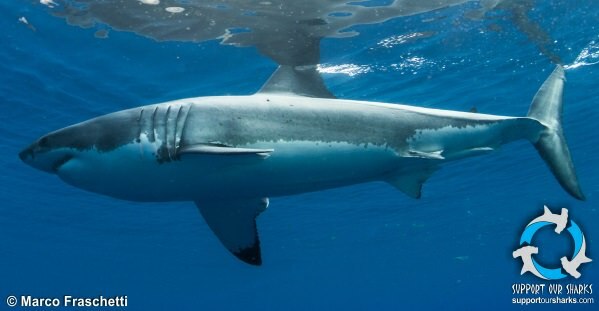 In Australia, the mindless culling of Great Whites has resulted in a global increase in media coverage on the controversial issue of shark control. However, there are many other threats facing these beautiful creatures which need to be addressed, such as the threat of illegal fishing. 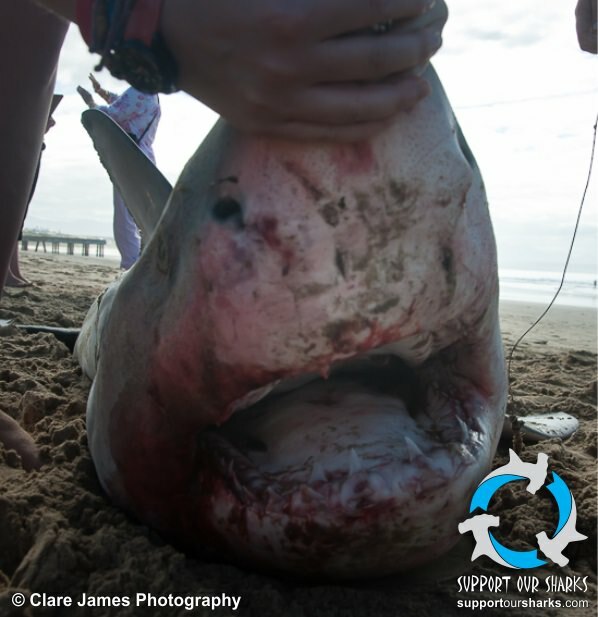 Illegal shark fishing was brought to my attention by an incident that occurred in Mossel Bay earlier this year. Located on the Garden Route of the Western Cape of South Africa, Mossel Bay is home to a large population of Great Whites. The Great White is a migratory species, and this area is particularly important for them; research shows that juveniles have extended residency periods of many months in Mossel Bay. It is estimated that at any one time during the year, 200-300 Great Whites may reside in the bay. 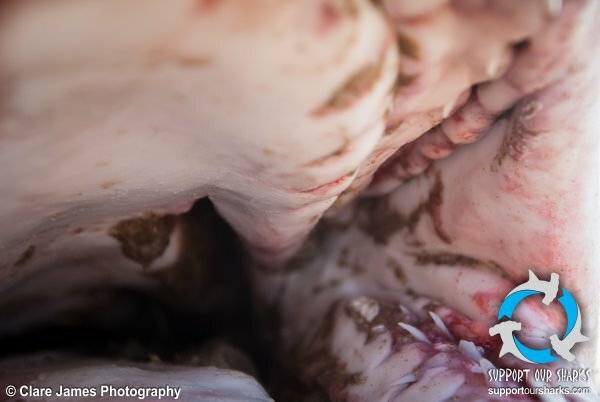 Since 1991, Great Whites have been protected in South Africa, but, unfortunately, this does not stop people from trying to fish for these incredible creatures. 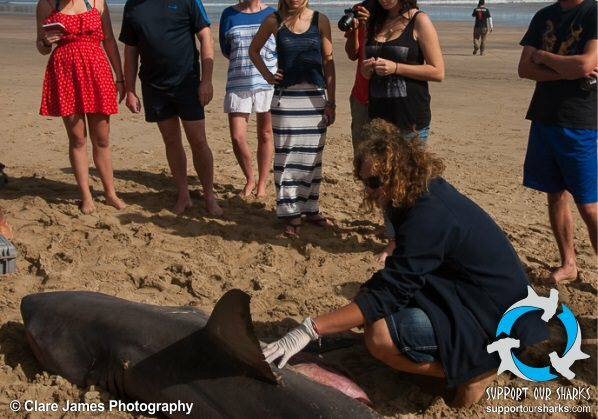 In May 2014, a Great White was found washed up on Diaz beach in Mossel Bay. A beached shark is an unusual occurrence, as Great Whites are negatively buoyant, which means that as soon as they die, they will sink directly to the sea floor. 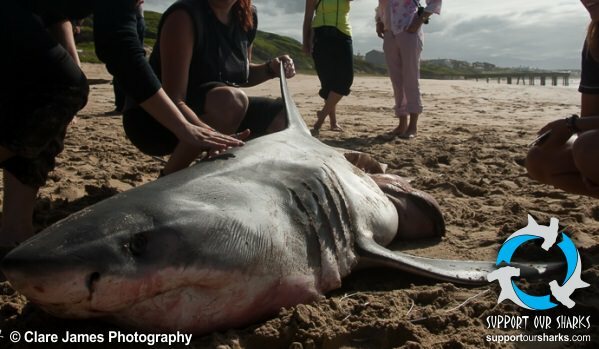 The Great White’s death in Mossel Bay, and why it ended up beached, opened up many questions for the local shark researchers. The researchers believed that the shark was the victim of illegal fishing. This was suggested due to the huge stainless-steel circle hook found in its mouth, which was attached to an extremely thick trace line (made of bicycle wire). If a fisherman is found using this sort of gear, the Department of Environmental Affairs (DEA) has the right to confiscate it. In this particular case, barnacles were found growing on the hook, which suggested that the shark may have broken free from the line, leaving the hook and trace caught in its mouth and resulting in delayed mortality. When a shark breaks free from a fishing line, the gear caught in its mouth may increase the chance of it getting caught in nets and on boat anchor lines. It is thought that the shark that beached in Mossel Bay may have become caught on an anchor line and then sunk close to the shore, which resulted in the incoming tide pushing it up onto the beach. Unfortunately, no one witnessed this happening, so we can only speculate on how and why this shark ended up in this situation. Another interesting aspect of this beaching was that a large section of the shark's flank had been removed by the time researchers arrived. This section was cleanly cut away, which would suggest that specialist knives were used. However, the fact that valuable parts of the shark such as the fins and the jaw (worth around $10,000) were not taken indicates that the removal was likely the work of an opportunist. There are simple interventions that may help to prevent these unnecessary deaths from occurring. 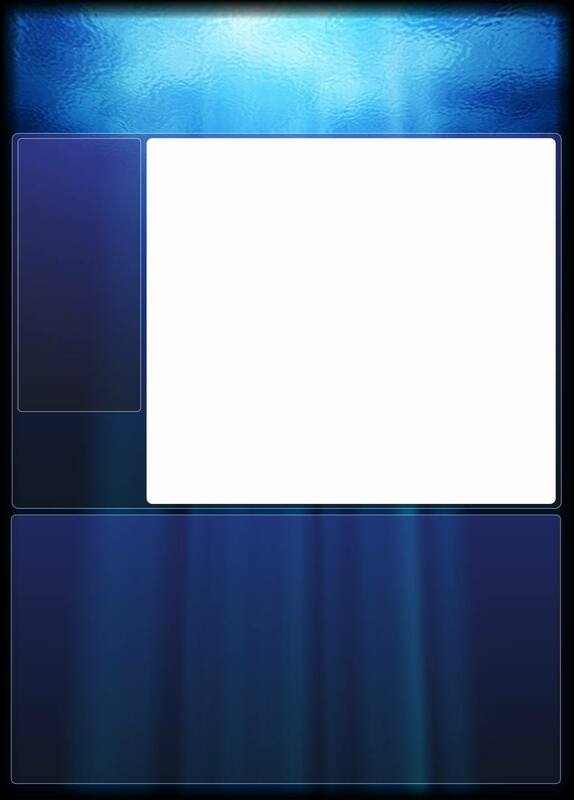 One option is to encourage fishermen to use steel hooks rather than stainless steel hooks. 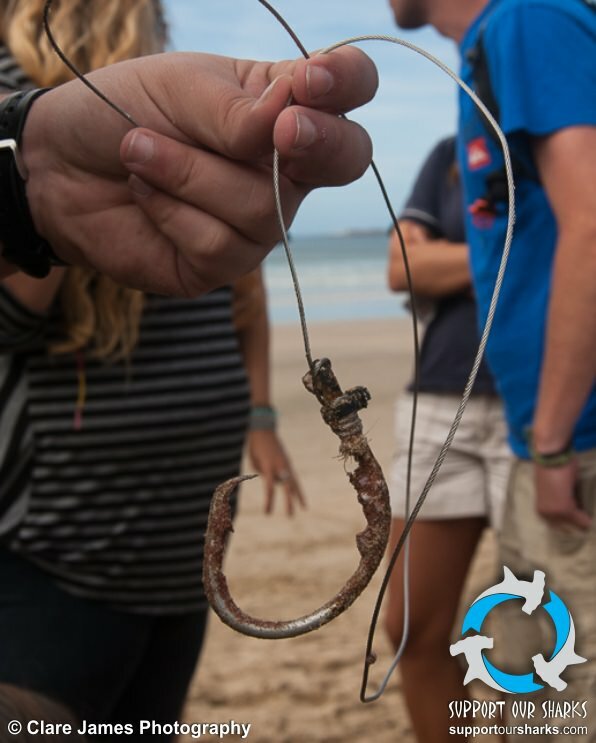 Steel hooks will degrade in saltwater, which will lower the risk of sharks getting caught on lines and nets if the hook is not removed, thus preventing delayed mortality. Simple actions like this could prevent many unnecessary deaths. More crucially, though, we need to educate fisherman, and the public, about the important role of these incredible animals if we are to change attitudes towards sharks and encourage better, more sustainable, fishing practices. Become an active shark supporter today and help us to protect these amazing animals. Join us on Facebook for more information on how you can get involved. For more information about the author of this article, go to Clare James Photography.